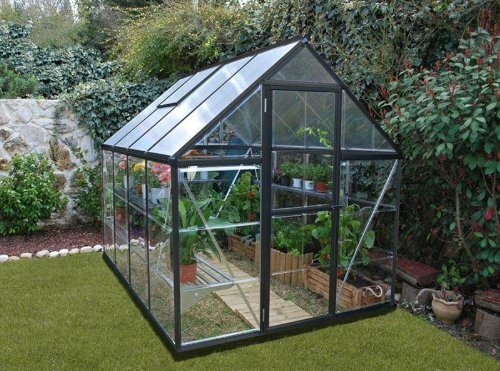 This limited edition Palram Hybrid greenhouse merges practical design with a beautiful dark grey frame. Plants benefit from the balanced exposure to sunlight provided by two types of virtually unbreakable polycarbonate panels: twin-wall at the roof and clear at the walls. 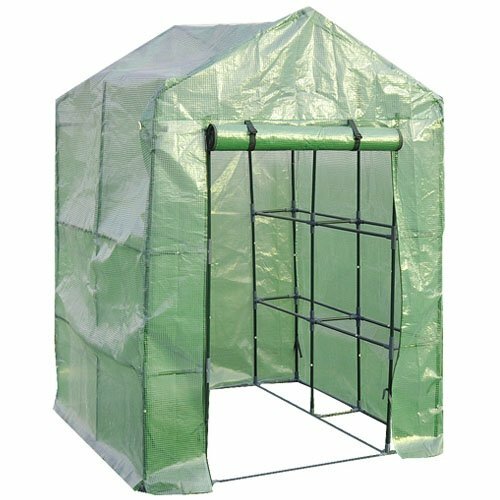 Hybrid greenhouses are easy to install and include a galvanized steel base, a hinged door as well as other features that enhance their usability.